Thanks to the Internet, learning responsive web design online isn’t all that difficult. 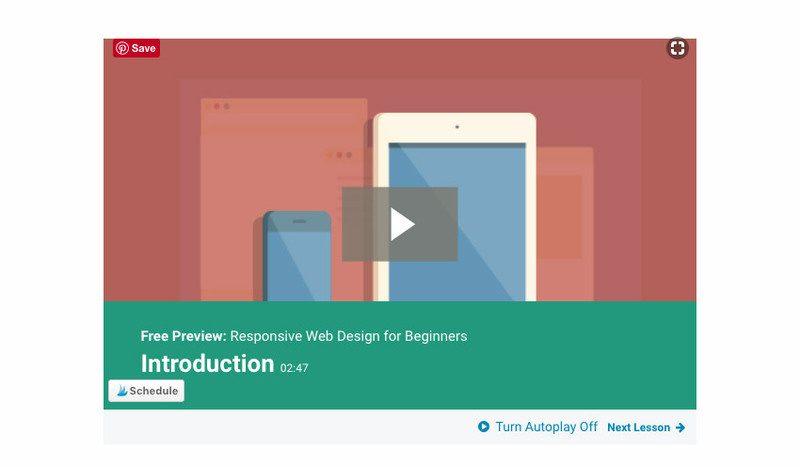 You’ll find that there’s no shortage of responsive web design tutorials that share code snippets and allow you to download files used in the tutorial so you can study them at your own pace. What’s more, there’s no shortage of responsive HTML templates and WordPress themes that you can use as a starting point and as a means to dive deep into the code and see exactly how the responsive layout was achieved. Responsive web design has many advantages and has become the norm for designing websites. As such, getting familiar with responsive web design and learning about it is a great idea. In this article, we’ll cover why you should learn responsive web design and share a collection of helpful step-by-step responsive web design tutorials that will help you master it in no time. Responsive web design makes it possible for your site to be viewed on a variety of devices and provides your visitors, clients, and customers with an optimal user experience. It means your website will respond to the width of the device’s screen, whether that’s a smartphone, a tablet, or a desktop computer; without causing visitors to scroll in all directions or be forced to zoom in or out to read your content. If you’re a business owner that prefers using a template and the DIY approach, learning responsive web design will allow you to tweak, customize, and add to the template without breaking the responsiveness of your site. If you’re a web designer, you’ll be able to use these tutorials to wow your clients with websites that not only look good, but also help them attract and convert more visitors into leads and customers. You’ll future-proof your site because the use of mobile devices is on the rise and is expected to continue to increase. This means your site needs to look and work great even on smaller screens. The tutorials shared in this article are suitable for complete beginners as well as more advanced users who’ve already got some coding experience. What’s even better is that all of these tutorials allow you to learn responsive web design online, meaning you never have to leave the comfort of your own home and you can go through them at your own pace. The first responsive web design tutorial on our list is actually a course that will teach you the basics of responsive web design through a series of five modules, broken down into smaller lessons. The course will walk you through the concept of “mobile-first” and then go into an explanation of the core principles of web design. You’ll also learn how to optimize your site for performance and how to test the responsiveness of your site. This tutorial is a great starting point if you’re completely new to the concept of responsive web design. This tutorial will explain what the term responsive web design encompasses, how the term came to be, and the core ideas that govern designing responsive layouts. The responsive web design tutorial will also show you some of the biggest advantages of responsive web design and showcase a selection of responsive websites that you can use as inspiration. If you’ve already got a website, but don’t have time to ensure the design is responsive this article can help. If you can’t devote time to go through a complete responsive web design tutorial, then this article will be right up your alley. You’ll learn how to turn any website into a responsive one through the use of some basic CSS, HTML optimization, WordPress, and jQuery plugins along with a breakdown of different devices, viewports, browsers, and more. In this tutorial you won’t be learning about responsive web design from a coding perspective, but rather from a designer’s perspective. The author does a great job of explaining what to keep in mind when you’re designing a layout, which features to steer clear of, and why as well as how to work with proportions and modules so that your designs can be more usable by the developers in charge of turning the design into a coded website. Forms play an important role on any website, from making it possible for readers and clients to leave comments on your blog to allowing visitors to sign up for your newsletter. When it comes to responsive forms, you need to make sure they work effectively on mobile devices. This tutorial will show you how to achieve that, complete with helpful tips on how to use Flexbox. In this responsive web page design tutorial, you’ll be working on using a fluid grid to create a responsive portfolio site layout with CSS. This step-by-step tutorial walks you through the entire process of creating a basic layout in HTML and then gradually adding styles to set up the grid and ensure it works perfectly no matter which device a visitor to the site might be using. When designing a responsive website, you need to pay special attention to the typography that will be used on the site. Your font size for paragraphs and headings, letter spacing, and line height should be used in a way that will create legible website copy that will work on any screen size, allowing visitors to read the contents on your pages with no issues. As we’ve mentioned before, responsive web design has many advantages that ultimately impact any business’s bottom line. In this article, you’ll learn about why you should make sure your website is responsive and how it can help you increase your conversion rate, improve your SEO, and result in more traffic. Video is gaining in popularity and many websites and business owners are using video in their marketing efforts. However, media elements such as videos and images can pose a bit of a challenge when it comes to responsive web design. This tutorial will help you ensure that your embedded videos look great across various device sizes regardless of whether they’re native HTML5 videos or videos embedded via iframe. 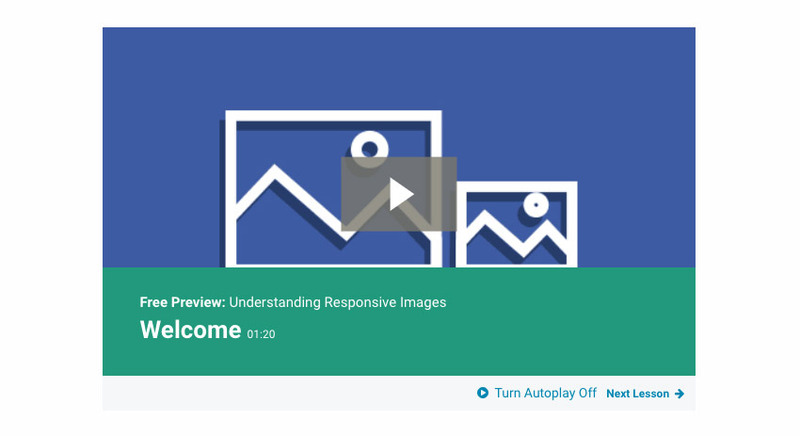 While the previous tutorial will explain and teach you all about responsive videos, this one will help you understand how to apply responsive web design practices to your images. You’ll learn what they are, how they relate to responsive web design, go through various techniques for making images responsive, and learn about the best practices when it comes to responsive images. Responsive web design relies on flexible units of measurements; em and rem rather than fixed units such as pixels or points. In this thorough guide, you’ll learn about the different ways pixels translate into rems and ems, the difference between two units, and finally why and when to use each unit. Use this tutorial if you’d like to launch a website quickly with HTML template, but don’t have the time to learn responsive web design from scratch. You’ll be walked through the process of understanding what you’ll need to get started, learn how an HTML template is structured, and how to replace the information with your own as well as see an example of how to customize the template with your own CSS modifications. Tables are used to present data on the web in a visually appealing way. However, they can be troublesome to work with on smaller screens. In this tutorial, you’ll learn how to use media queries to make any table change formats completely when viewed on smaller screen sizes. The tutorial uses a step-by-step walkthrough explaining the HTML and CSS behind the finished tables. WordPress is a great choice for any website owner because of its flexibility and ease of use. Thanks to this tutorial, you’ll learn how to use a responsive WordPress theme to create your site, starting from determining what you need to launch a website to installing the theme, editing the pages and posts, and styling it to match your brand. Media queries are the staple of responsive web design, allowing you to tweak style rules according to a specific environment. But, media queries aren’t perfect and come with their own set of faults. In this tutorial, you’ll learn all about the shortcomings of media queries and explore the idea of element queries as a potential solution. Breakpoints allow you to choose the specific point at which you’d like to alter the layout of your website to ensure it displays perfectly across various screen sizes. Most commonly, you’ll use horizontal breakpoints such as 768px where anything wider than that will correspond to a desktop-type layout and anything narrower will need tweaking for smaller screens such as those found in smartphones. But, you can also use vertical breakpoints that are applied in relation to a viewport’s height. This tutorial will show you various scenarios when a vertical breakpoint is useful and walk you through the process of setting and controlling them. In this tutorial, suitable for those who are already familiar with code or want to learn how to hand-code, the author walks you through the process of coding a website that has several horizontal panels. Each of those panels can be individually scrolled. The main idea and challenge in this tutorial is to make each panel individually scrollable and animate a selected content panel to the left of the viewport. Parallax effect has been around for a while now and is a very popular visual effect that makes your website appear more dynamic. Thanks to this tutorial, you’ll be able to create an elegant slideshow that moves the background positions of two images and slides the slide container at the same time. The last tutorial on our list shows you how to use the popular Bootstrap HTML framework to code a beautiful portfolio site. You’ll also learn several tricks to ensure your Bootstrap website looks great on any device, discover how to set up your blog page, and learn how to create an engaging contact page so potential customers can get in touch with you. The responsive web design tutorials listed above are just the tip of the iceberg when it comes to responsive web design. Use them as a starting point to get familiar not only with responsive web design in general, but also with specific aspects of it such as responsive forms and images. Once you master these, you’ll be well on your way to becoming a responsive web design pro.